When only the best in luxury transportation will do. Elegant Jacksonville Limos Provides first class Limousine service in the Jacksonville and Amelia Island area. Our large elegant selection of Limousines and professional staff will make sure you are glad you booked your Jacksonville Limo Service with Elegant Limousines . We are a family owned and operated luxury transportation service. Proudly servicing Jacksonville and Amelia Island with 5 star Limo service since 2006. Elegant Jacksonville and Amelia Island Limos provides luxury and corporate transportation in and around Jacksonville and Amelia Island, Florida. 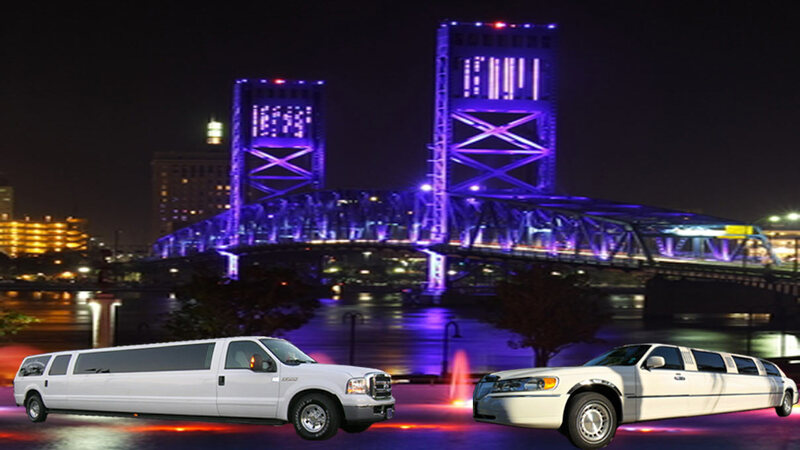 If you need Limousine service in Jacksonville or Amelia Island for your Wedding, a night out on the town or you are in search of the coolest Jacksonville prom Limos / Winter formal Limos. Our stylish selection of Limousines will impress even the most demanding clients. At Elegant Limousines we pay special attention to detail. If you have a large itinerary to fill and need some help, we can help schedule pick up and drop off times to get everyone to their destination on time and well rested. Leave the driving to us. We also offer wedding limousine packages for everyone. From the bride on a budget to an all out platinum wedding. Our clients always call on Elegant Jacksonville Limos because they can tell the difference in the first class service only at Jacksonville Limousine service. 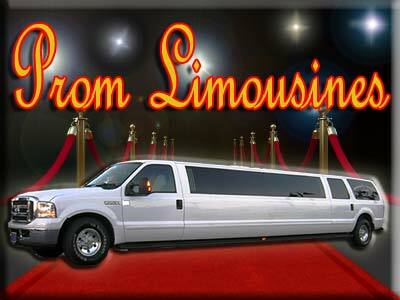 Elegant Limousines has been servicing North and Central Florida with luxury transportation since 2006. We service all the surrounding airports and cruiseports. 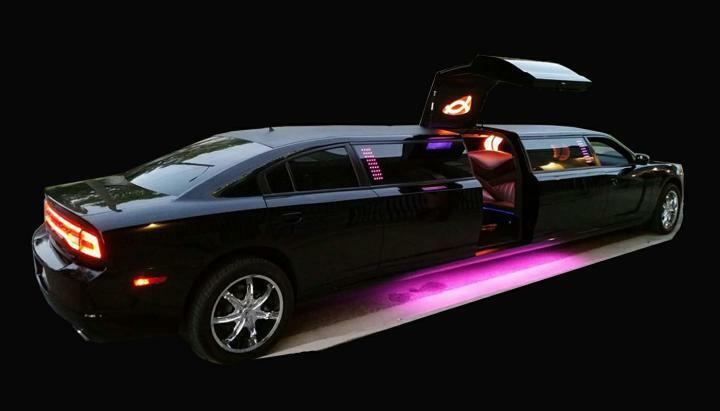 11 Passenger Dodge Charge Limo With A Jet Door !! !